In the future, when scholars recount The Great Dandelion War of 2016, my name will figure prominently. Whenever I mow the lawn, my kids refer to it as "harvesting the Dandelions" and, truthfully, if Dandelions were a cash crop, I'd be rich and wouldn't have to mow my own lawn. And this would be best because I've got a gangrene thumb. (I also have a purple index finger, but that's from an unrelated Do-It-Yourself incident.) I'm the most ignorant gardener there ever was, but my wife has no interest in it and so, because she maintains the interior of the house, by default, I maintain the yard. In 2016 I decided to mount a counter-offensive against invading Dandelions. It's not that I don't like Dandelions. In fact, I think they are a beautiful plant and, personally, would happily plant rows of them in a garden box if only they would stay there. By definition, a weed is just a plant growing someplace you don't want it. But some weeds are especially invasive and grow everywhere you don't want them. Dandelions are one of those. They are extremely aggressive and hardy and quickly spread to choke out every other plant. And once released, they are almost impossible to reign in. I've successfully tackled highly aggressive and hardy invasive species before with very positive results. Most notably, there was the Scotch Broom Offensive of 1999—afterwhich, of course, we partied. And the Blackberry Bramble Campaign of 2012. 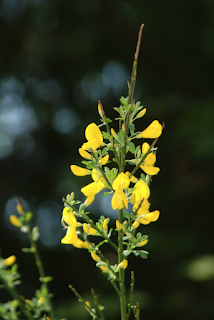 Scotch Broom is an incredible nuisance that someone decided would be nice to transplant from Scotland to Canada, an act akin to having been cured of cancer and then taking up smoking. 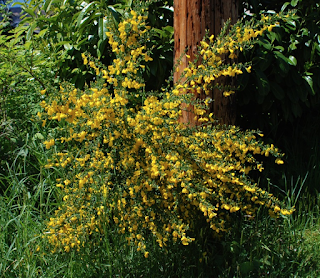 Broom is an evergreen bush with vibrant yellow blossoms in summer and not an unattractive plant. Like most weeds, it falls into that classification purely by virtue of its lack of restraint. It's a tenacious bush that grows and spreads with amazing speed, quickly choking out all the competition and taking over vast swaths. Once established, it's nearly impossible to kill. The roots are deep and secure, and the plant itself is as tough as leather, fibrous and rubbery and very difficult to cut with shears. In 1990 I cleared a substantial tract of forest to make way to build my first house. It took me about three years to complete that project, and when I stepped back to examine my work, I suddenly realized that my house was now set amid a forest of Scotch Broom. I began the landscaping phase of the project by addressing this issue. At this point, I should mention that I don't like loud things, nor do I like using chemicals. It's not that I'm a rabid environmentalist, it's just my nature. I prefer to do things slowly and quietly and my tools of choice are my mind, my body, patience, and persistence. It drives my wife crazy. So in addressing Scotch Broom, my first effort was two weeks of sawing and hatcheting the entire grove to the ground. In the end, I had two huge piles which I intended to let dry in the scorching summer sun, then burn. I waited and watched expecting the pile of green to blanch then turn brown. It never happened. After a couple of months, the green had darkened and I was surprised that the plants had become even more rubbery and difficult to cut. There was no chance that it would burn. I decided to apply more patience and waited until the next summer. I poured gasoline over a pile and tried to burn it, but the flames only lasted as long as the accelerant. Meanwhile, I had a fresh crop as large as the first. At that point, I knew I was out of my depth and willing to apply chemicals, a horde of locusts or radiation—whatever. I took the radical step of seeking out expert advice and visited a nursery. The man shook his head and sadly told me that though they sold some herbicides that might temporarily relieve the problem, the only method he knew of that would guarantee success, especially over such a large area, was to exhaust the roots by continually cutting the plants to the ground until other plants choked them out. Far from being discouraged, I was thrilled because this kind of plan perfectly suits my nature. For about three years, I religiously pulled out seedlings and cut every other bush to ground level, leaving the remains to slowly rot. A forest of fast-growing poplar trees sprouted all around which eventually altered the environment enough for native plants to regain control, and the broom ceased to be a problem. It took a few more years for the forest to recycle those large, old piles. Years later, I bought the house we currently occupy. It had been poorly maintained and the yard was entirely overtaken by blackberry bushes. Some of the brambles were almost as thick as my wrist! In my area, this is a very common plant and I was very familiar with its nature; invasive and persistent—like my own, but with gouging brambles to boot. I elected to apply the same technique as with the Scotch Broom: Exhaust the roots. 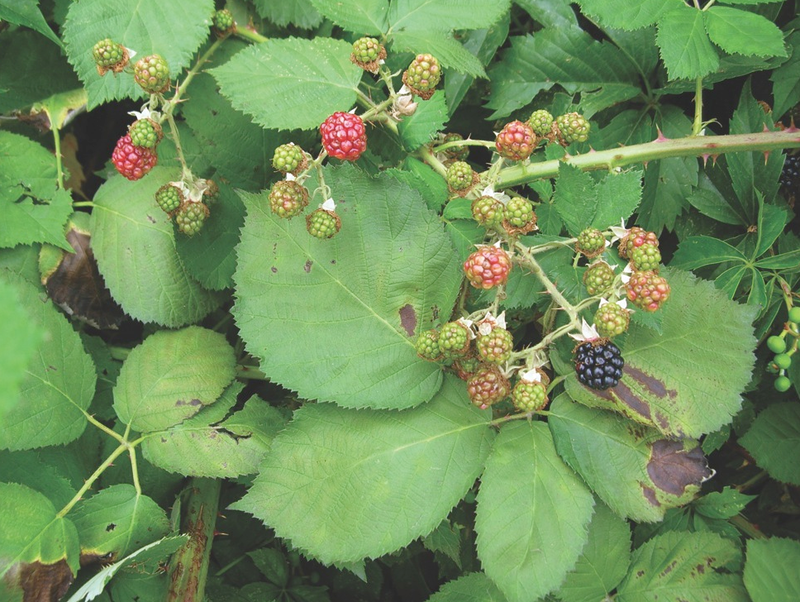 Knowing that blackberry bushes readily sprout new shoots from cut off branches, I first hacked them to the ground, piled them and then took the extra precaution of reducing every stalk to 6-inch pieces! I was determined to eradicate this weed in a single pass. I then covered the piles with black plastic to hasten the rotting process and turned my attention to the interior of the house for about two years. During this period, I continued to scan the yard regularly, dispatching anything resembling a blackberry. As well, in the summer, I sprayed the rotting piles with water to keep them moist and feed the decay. This all worked as expected. I planted grass which quickly took over and, after about three years, I no longer had any blackberries. Around here, broom and blackberries are two of the biggest nuisance plants we have to deal with. Dandelions are the third. This year, I decided to go for the trifecta. Having been twice successful, I applied the same technique. 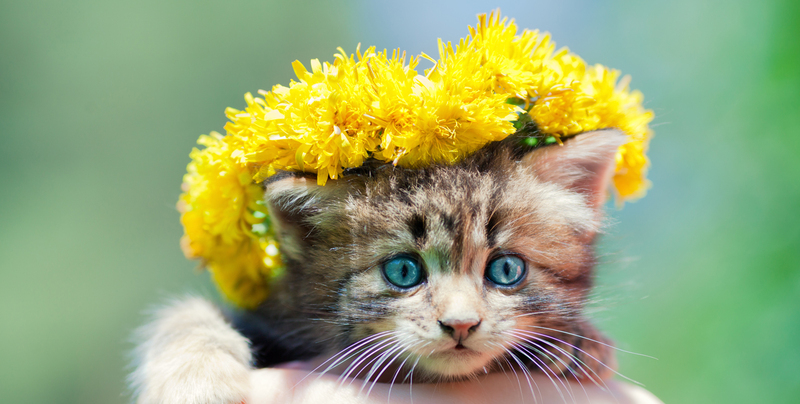 Dandelions blossom in spring. It's June now and I regret to report that exhausting the roots in exhausting me! Dandelions are like icebergs with the majority of the plant hidden below ground. Common wisdom is that the only way to get rid of them is to pull out the entire taproot. The ground around my house is mostly clay: hard as a rock half the year and soft as boot-sucking syrup the rest of the time. Knowing all of this, I started in February when the ground was still soft and uprooted as many Dandelions as I could: We're talking about hundreds and hundreds of plants. It wasn't easy because, even in the softened clay, the roots often broke while being pulled. There was no hope of getting them all, but I did make a substantial dent. By the time they began to blossom, there were only a few hundred. My initial idea was simply to pluck every yellow blossom and let the plants waste energy regenerating, hoping the surrounding grass and clover would choke them out. Unfortunately, the clay is a challenge for everything except Dandelions and the grass was slow to take over. By the time the sun started shining regularly, in May, the ground was too hard for new grass to sprout. Still I kept plucking. It was easy because the bright yellow blossoms were easy to spot. I started by making rounds each morning before setting off to work. When I returned 6 hours later, I was surprised at how many I had missed. Eventually, I realized that Dandelions grow so fast that what had been a nub in the morning was a blossom by afternoon. I stuck to plucking only blossoms for a time but was soon making three rounds a day. So then I advanced the program to include the buds. This was a little more difficult as they lie lower and are green making them harder to spot, but I soon became good at pciking them out. Furthermore, I found that many of the blossoms I had plucked and tossed aside had continued to bloom into white puffballs of seed! Ater that, I began collecting every amputated bud or blossom and disposing of them in the compost pile. At this point, it began to feel like I was making progress. Passersby remarked that mine was the only yard in the neighborhood uninfected by Dandelions. Of course, what they didn't know was that I spent an hour each day plucking off the heads. The Spring of 2016 was typically mild but rainier than usual, so all the plants thrived—including the Dandelions. Mid-April was the peak of the battle and I was growing despondent. The Dandelion numbers did not seem to be decreasing. I went to Phase Three and started pulling the leaves off the larger plants, as well. The grass needed mowing by this time and I thought those would be easier days as the mower would do my job for me. Turns out, rather than fear my lawn mower, Dandelions seem to regard it as an invigorating massage. A few hours after mowing, there always came a fresh crop of blossoms. The next time I mowed the lawn, I watched more carefully as I passed over and discovered that the heads of the weed were pushed downward by the wind from the lawn mower blade and they often escaped the cutting edge. Nature is such an amazing architect! Phase Four included mowing, then a round of plucking blossoms, buds and leaves and then, for good measure, running a weedeater over the Dandelions, reducing them to ground-level nubs. It's June now, and after four months of hard work and constant vigilance, I can finally rest as the blossoms are now few and far between. 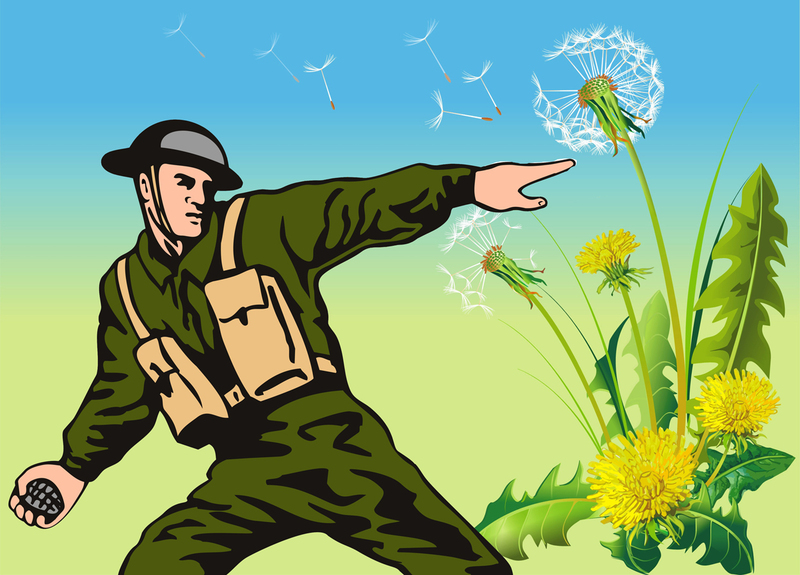 It felt like victory until I learned that peak Dandelion season ends in June. It will be eight more months before I know for sure. But it's a foreboding omen that when I pulled aside the black tarp over the compost heap I discovered a thick grove of Dandelions, limp and anemic, but alive, nonetheless. To be safe, I am slowly transferring these to the trash bin, doing my part to beautify our local landfill. Dandelions have proved to be my most challenging vegetative adversary, but I can not allow them victory as it sets a bad example to the other weeds and provides my kids new reason to mock me. If next Spring finds the Dandelion population blooming I'll be forced to move to Phase Five, and we can all learn to love the smell of Roundup in the morning! from the French: "dente de lion" which translates as "lion's teeth." "urinate in bed," because the plant is a diuretic. Creating content with regularity is demanding. 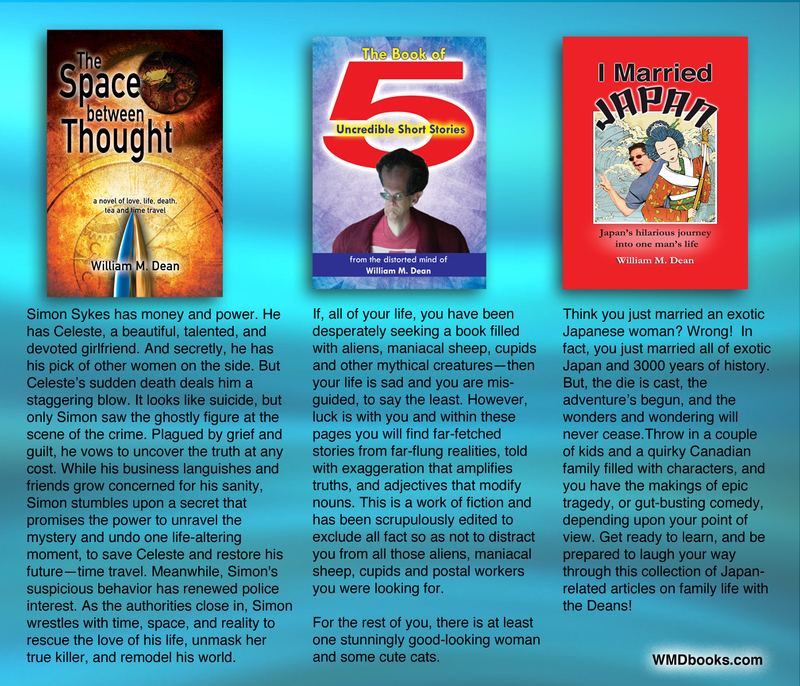 Recently my schedule has changed and I am finding it difficult to keep up. 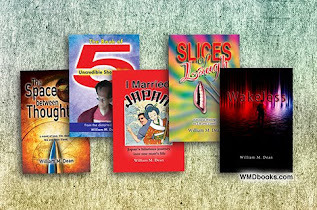 I appreciate your comments because it is the readers that inspire me to write. Have a great day! 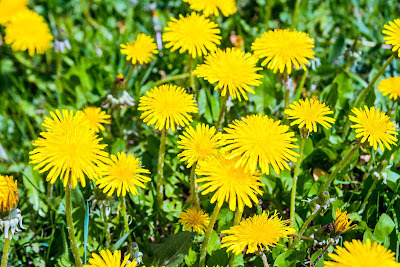 Dandelion root has long been regarded as being a tonic for a 'sluggish' liver that was thought to be responsible for symptoms such as constipation, fatigue, boils and eye problems.